LOS ANGELES (Scrap Monster): The proposed state-wide ban on plastic bags by California has been put on hold Tuesday, further to confirmation by state election officials that a trade group has managed to obtain enough signatures to refer the bill to a referendum ballot in 2016. 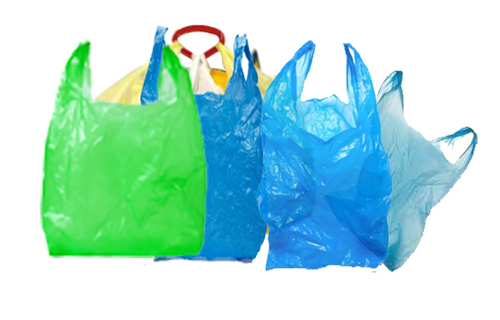 The Senate Bill 270 bill proposed by Sen. Alex Padilla bans the use of single-use plastic shopping bags at check-out counters at grocery stores, pharmacies, convenience stores and liquor shops. The paper, reusable and compostable bags will be charged 10 cents fee. However, the ban does not apply to non-food retail units such as clothing and electronics and for produce and meat taken out from grocery stores. The bill had faced strong opposition from the plastic and paper bag industry. The American Progressive Bag Alliance (APBA) is reported to have managed to obtain at least 50,000 more valid signatures than the originally required 505,000. The group had submitted more than 800,000 signatures by end-December last year, when the deadline for the same had come to an end. According to ABPA, the proposed ban is likely to lead to huge job cuts. The paper bag industry too had opposed levying 10 cents fee on bags. Meantime, supporters of the ban expressed hope that Californians will vote to uphold the ban. They criticized plastic bag manufacturers for spending millions of dollars on the referendum campaign in order to continue selling plastic bags. With regards to job losses, they said the proposed bill had included in it, $2 million in loans for plastic bag manufacturers in assistance of switching over their operations.